3) What is your favorite 2018 memory so far? Going on a cruise down the California and Baja California coast with my family. 4) If you had to pick only one food to eat forever, what would you choose? Sushi! Sushi! Sushi! 5) What do you want to be when you grow up? And why? A doctor. Because I could save kids with cancer, and maybe develop a medicine that could cure or prevent cancer. 6) Tell us your favorite joke. Why did the little girl sprinkle sugar on her pillow? To have sweet dreams. 7) What is something people don’t know about having cancer? Or that people ask you? Sometimes it can actually be fun because you get to spend time in the hospital with your nurse friends and cancer friends. And there are movies and video games. 8) What did you miss doing those most while you were in treatment? Getting outside and moving around. I didn’t get to do a lot of that while I was in treatment. I also missed going to most of preschool. 9) What advice do you have for kids with cancer in the hospital? No matter what was going on, staying positive helped me feel a little better. 10) How does it feel to be cancer free?! I still have scars and other reminders, but other than that, I feel like I didn’t have cancer at all. I’m really grateful to everyone who works with cancer kids and who helps to make kids like me cancer free. 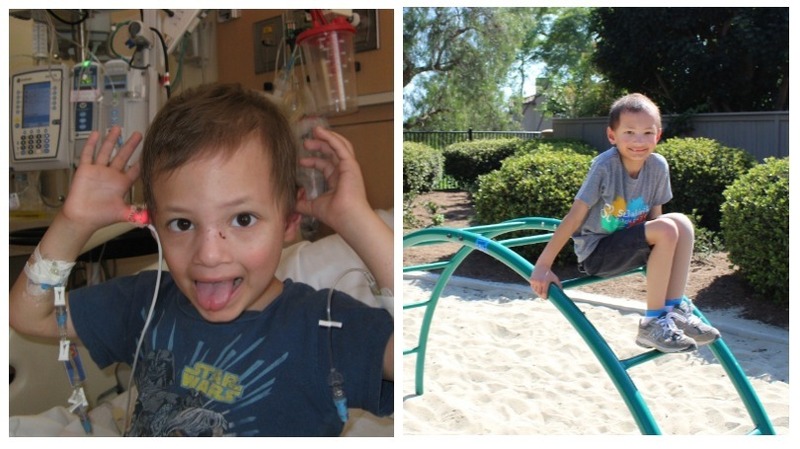 This Childhood Cancer Awareness Month, give kids like Micah options — give them hope. Fund lifesaving childhood cancer research today.